A Secret Service agent who accompanied President Trump on his trip to Europe died in a hospital after suffering a stroke in Scotland, the agency announced on Tuesday. 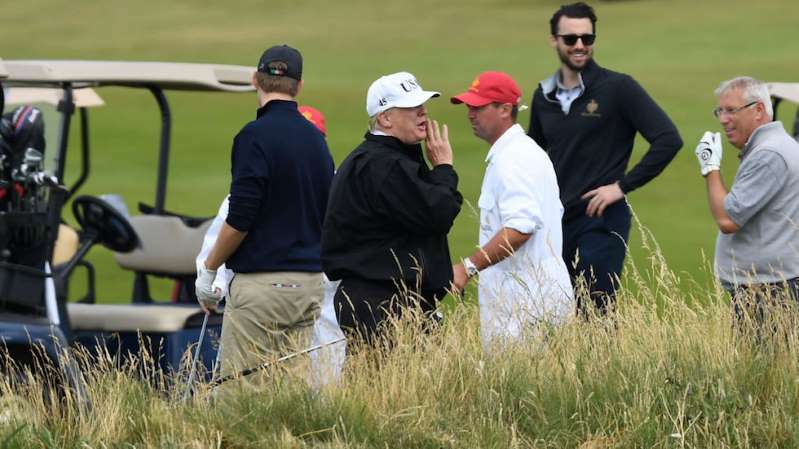 [post_ads]The agent suffered a stroke during Trump's July 15 stay at his Turnberry golf resort. professional of the highest order, passed early this morning on July 17, 2018, in Scotland," the Secret Service said in a press release. The agent's name is being withheld until his family is notified, according to the press release. The Secret Service thanked the medical personnel and police in Scotland, along with the White House medical unit. "[They] provided exceptional care and support for a member of our family," the release states.